You can certainly use drum machines and electronic drums if you want to add a digital kick to your music, but you typically lose the intuitiveness and subtlety of playing old-school skins in the process. Why can't you have the best of both worlds? Sunhouse thinks you can. 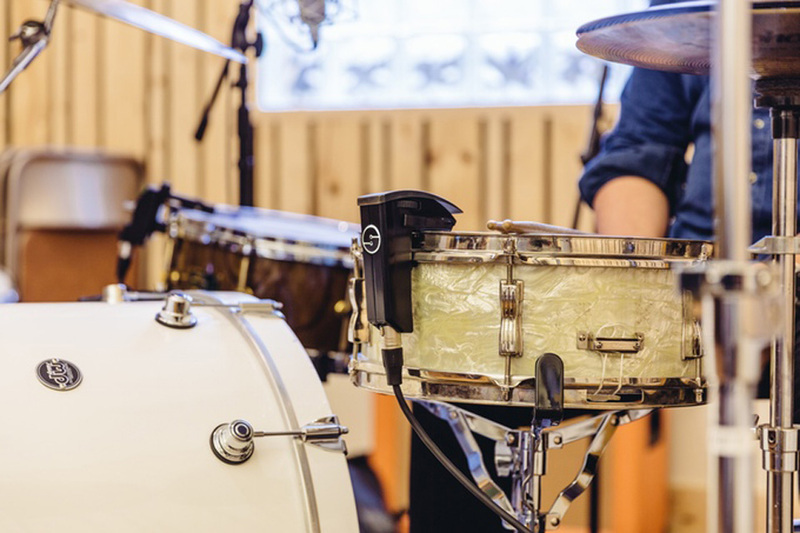 It's crowdfunding Sensory Percussion, a sensor that translates your acoustic drum sounds into electronic beats. You can map different samples to different parts of your drums, and the add-on will even recognize various playing styles. The effect is a bit surreal, as you'll hear in the video below -- you can produce beats that you'd rarely hear in the studio, let alone at a live concert. Be prepared to pay up if you're aiming to become the tech world's Neil Peart. It'll take a $595 or larger pledge to get one Sensory Percussion unit, and you're realistically looking at $1,330 to put sensors on a full drum kit. The hardware isn't expected to ship until January, either, so it won't come in time to liven up those late summer music festivals. All the same, it's easy to get excited by the potential. Drummers may soon add a dash of electronic music to their band's sound, or even switch genres outright, without having to abandon their finely-honed skills.